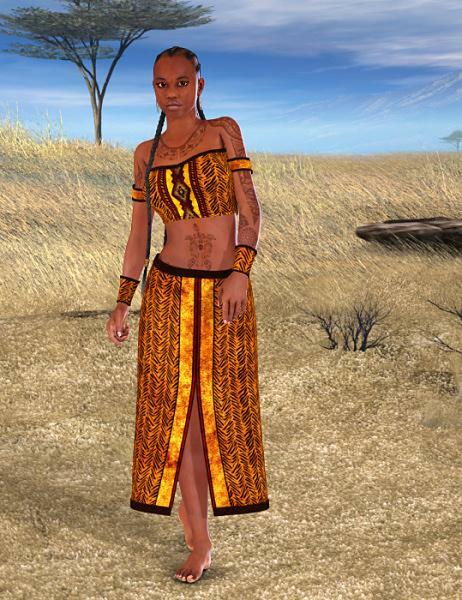 An African texture for any version of the Morphing Fantasy Dress except SP3. Obaki (4 years ago) Inappropriate? Can't wait to find a use for it. mimelord (7 years ago) Inappropriate? Looks very nice, I love it!! Thank you! I was looking for something like this! Awesome - thanks for creating something fresh & new for the MFD!! nyane29 (8 years ago) Inappropriate? Anniebel (8 years ago) Inappropriate? Uhmmm, any particular reason why not for Sp3 ?